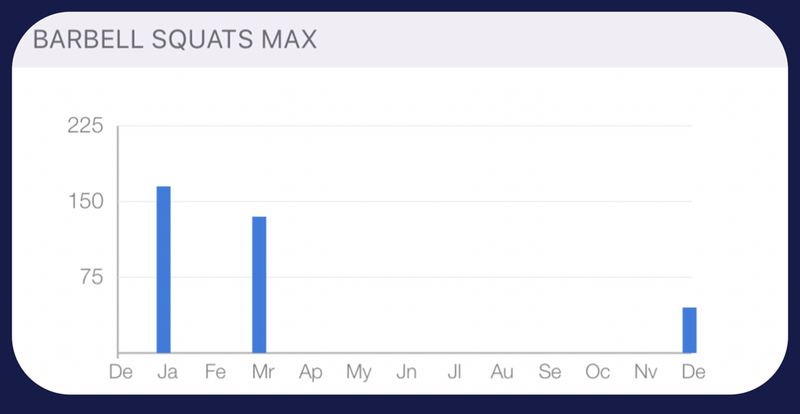 A few weeks ago I launched a small quantified-self project. It’s origins flow from increasing generalized anxiety...thinking about ways to manage that. 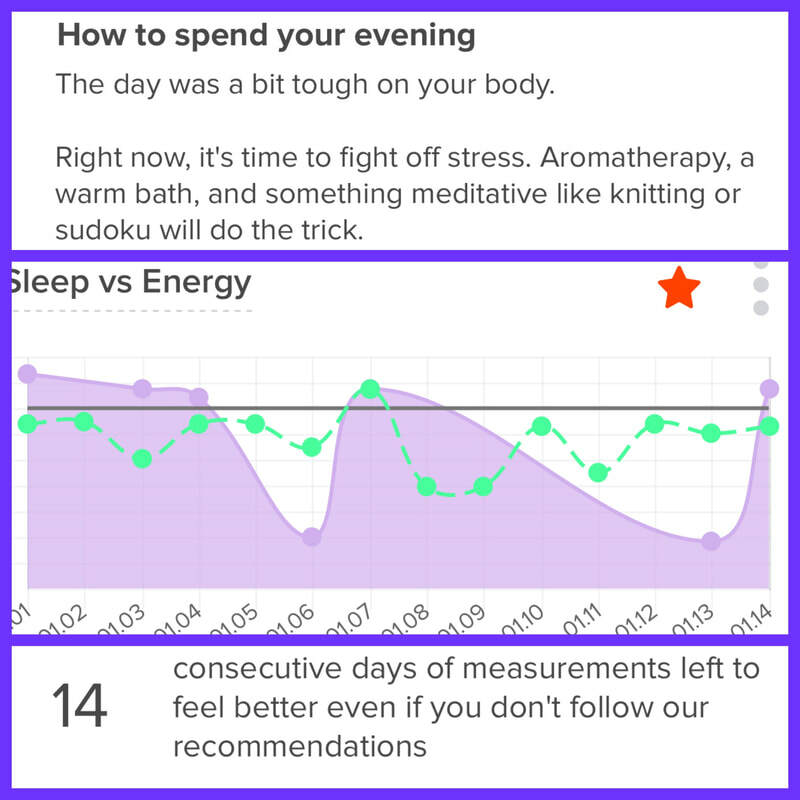 My Dr. directed me to a website and I ended up (eventually) at https://welltory.com It aims to measure stress, energy, and productivity. I love me some measurements! It’s interesting, for example, but not surprising... to see that in comparing my sleep and my energy - there’s a correlation. And I can make choices that help with quality sleep. Simple and logical enough. What was more surprising is the Welltory suggestion that I would benefit from continued measurement even if I don’t follow their suggestions. Huh? As it happens, simply being aware of how you feel and how your body is reacting (or is that the other way around?!?) is a good start to managing stress. Fatigue is a natural part of serious training, and a natural part of business life. That’s true as individuals and can also be true of an organization as a body. And I think that thinking of an organization as a body can provide a perspective on everything from Alignment to avoiding the Zero Sum Game. Stronger and faster is a fantastic goal. In that regard, why not ta learn something from elite athletes? Yes, they train, and even to fatigue. Nevertheless, they also diligently put efforts into recovery and rest. Many training programs will focus on fatiguing only one or two main muscle groups. Legs today, arms tomorrow, back the next day...carefully ensuring that the nervous system has what it takes to turn this teardown into new strength and skill. Likewise keep an eye on the team; the body. Everyone is going to experience times of fatigue such as during big projects. But extended periods of fatigue set you up for only one thing; injury. Make sure you do not have too much stress on one area for too long. Make sure the burden is shared. Make sure there is time for rest and recovery. Want faster and stronger? Do not chase fatigue. As my training log indicates, I have not really squatted much at all this year. My stomach was just so bad that wasn’t possible. And then three months off for the corrective surgery ... a few days checking movement patterns... and today we finally gave it a try. Does it count as a barbell squat if there were no plates at all on the bar? Anyway, it was really frustrating. Everything about it felt foreign. It took a great deal of intent to get everything in some sort of functional form. So it’s time to post! Why? Not to mope in my frustration. But because I know this will pass. And when it does I can look at this and remember how incredibly tough it was today. The best encouragement that you can take something from tough to doable is that you have done it before. No? I'll give you a hint; it's about my benchpress. Still no? Well, maybe because if there IS a pattern... it's way underneath. These are the days between my benchpress PRs. They are all the same icrements - 2.5#. But some came as quickly as 28 days after the previous best, and some took over 200! If there is a a pattern... it's made of 2 things. The usual 2 things. I finally hit 135 pound benchpress in December. Every few weeks after that we would try. Sometimes I’d hit it, and sometimes I’d miss. Eventually it was more hit then miss. And just recently I started trying (and getting) it every time I bench. What’s empirically and emotionally obvious in powerlifting is that you're only going to get something to be easy... by doing it over and over again while it’s still difficult. Only by trying despite (many) failures do you improve. Looking back on my 20s, everything seemed so hard. Now at 47, there are certainly difficulties in my life but by and large much of what troubled, or at least tired me out then causes me no trouble today. Perhaps your 20s are years of constantly having to do difficult things. You know, you just turned into an adult after all, a lot of this is new. So when I run into the inevitable rough patch, I just look forward and imagine how great the 50s are going to be when I have conquered these challenges too. Someone said today, about powerlifting, that your ability to improve was practically infinite. I’ll get back to you on that when I’m 70. But I do wish that I understood back in my 20s the way I do today how nearly infinite is our ability to grow and adapt and improve. It makes ageing a wonderful adventure instead what I expected would be decline. Here’s to finding hard things to do, and doing them over and over until they are easy. Thank you. Thank you for everything you did for me this year. Yeah, the whole acid/stomach thing was and continues to be a bit of a piss off. It’s keeping me from doing some of the things that I love. And I really hope that we can sort that out together next year. That’s a minor inconvenience compared to everyplace I got to see because you took me there. To every awesome concert and show ... I am able to sit for hours in the uncomfortable tightness of the Massey Hall seats. Able to dance (or a reasonable facsimile) for hours on the concrete bar floor. You treated me pretty good this year. I treated you pretty good too. I guess it only seems reasonable. But some people, even with the greatest of care, don’t have the strength and health I am lucky enough to have. So, Thank you. Another year under the bar has increased my respect and admiration for everything you can do and all that you tolerate, enable ...and enjoy. . And while you occasionally lie to me (yes, I probably DO have one more rep in me) ; I promise to get better at listening to you before you have to yell. Yes, another Powerlifting/Work Life analogy. I am very close to benching 135#. Lifters know that this is less arbitrary than it sounds, as it means that I will be using a full plate on the bar. It’s a milestone! And in a sport based on tiny incremental progress, these milestones are major. And it’s very likely within 3 months or less from being achieved. 1) It’s on my mind. And it’s going to be the same incremental progress when I hit it. I go up in 2.5# increments every time. This will be the same. And yet… it’s different. Just like other progress, we often celebrate what seems like progress, but not recognize all the other exactly equal steps we took to get there before. 2) I’ll miss a few times before I get it. Because it’s really at the edge of what is possible for me, I won’t know if I can do it until I try. So I will, inevitably, fail. I have already. And I will again. In fact, even after I get it the first time, there are no guarantees that I can the second, because for that moment, I am playing at the edge of possible. And if I chose to wait until I knew for sure I could do it without fail… until I was strong enough to make it certain? Well, then for sure it would happen way later than it will by trying whenever it just might be possible. 3) The best version of me will be needed. Again, because it’s on the edge of impossible, when I try, I have the best chance when I had a good night sleep, and have been eating clean and feeling focused. It’s this last one that really sticks with me. It’s very clear to me that to deliver this lift, I need to be at my best, and that comes not just from my intent at that moment, but what I have been doing in the hours (even days) prior to it. And that makes me think about my other endeavours in life, especially at work. For sure most of my job is not playing on the edge of impossible. It’s certainly not a walk in the park, either. So when it’s not easy…. The very best me ensures the best outcomes. And the best me does not just come from that moment, but the moments leading up to it, including what I eat, how I sleep and how I recover and play. So the next time I am at the gym, or resting, reading, or eating optimally, I will remember that what’s good for me is good for the best me at work too…and taking that time and effort is an investment in work as much as it is in life. And not doing it? Well that’s just not an option, now that I know, is it? The image is from Facebook; a colleague posted this today. It means a lot because it comes from someone who I know has a great and kind heart, who finds inequality ugly and who is not afraid to speak his mind. And saying “there was times when I should have...”, does not come from flaws. We are all flawed. We all sometimes let things go. It simply means you are not going to let fear of acknowledging that reality stop you from calling it out. And that’s what’s needed. From men. From women. From ME. I have sometimes been angry over an incident and at the same time cautioned myself against that anger because “it wasn’t SO bad” or “I am just being overly politically correct” or “I use salty language sometimes ....so I guess it’s the same...”. And stewed. And felt that there was no upside to saying anything. Only down. And ended up been as frustrated about the feelings of guilt and worry as I was about the comments that started it. It’s easier to call it out when I see others up against it. I do that. So why not as often when it’s me? Because I don’t know intent to be bad (he’s alright ...does not mean harm)...I hold back. Because I think of how fortunate we are North America compared other countries...; I hold back. And while intent is incredibly important to me... I think this is one of those cases where I let it get in the way. Because every time something like this passes unchallenged, an opportunity is missed to move the needle forward. To let someone know that every word is a seed and that those kind can’t have any beneficial harvest. That just because it could be worse does not mean we should not all strive for better. That just because I CAN take it does not mean I SHOULD. Most progress is incremental. It’s not surprising that someone can look back and go “uh oh”. It is a sign that the needle has moved! If I think about some things that happened early in my career... thankfully I had a manager would not tolerate aggression or offensive talk from our vendors .... it’s hard to imagine those things happen as frequently today here in Canada at least. That progress has happened because of all the times people DID call it out. So if you think everything is good… I guess it’s OK to ignore all of the noise about #metoo. For one, I feel really glad people like Ken don’t think things are OK. That means there’s hope for #metoo. First ever un-spotted 115lbs #benchpress. I’m pretty sure I have never NOT used a spot on anything over 100lbs. It’s not that I can’t safely move the weight. But I let fear prevent me from trying without a safety net. I would stand there at the bar, trying to reason with myself that there was no need to be afraid. And even though I knew it was true I could not convince myself. So I would ask for a spot. Today I tried something different. I figured since I wasn’t going to be able to reason myself into NOT being afraid... I’d just do it no matter how I felt. And the results.... you can see for yourself. I wasted a lot of time trying to reason with the part of my brain just doesn’t reason. ....and I shouldn't of left you (left you).... .But I actually HAVE had a dope beat to step to. Forgive the Aaliyah reference....but it popped right outta my head. Anyway, I have not stopped writing or thinking.... it's just taken a different form in the last bit. Some training I was on with work had us doing some prompted journaling, and I have a book that's got me thinking, and a girl that ALWAYS is good for a soul-and-brain-conversation. That's kept my heart and creative spaces pretty occupied. We also have a move on the horizon, so there has been some extra work, which has created extra naps. So time has also been a bit tighter. But this blog remains my main place to think about my practice, my body and what I have gained and learned on that journey. And there is news there, so... HERE I AM!. Well, to be honest, there is no news yet. It's just brewing. It's been brewing for 17 months or so since I hit that 100# bench press for the first time. I remember the feeling. 135# is on the horizon. It's been a slow climb. After 100 there was some quick gains, but the last year has been truly one of those turtle vs hare things. Progress has been real. Just super incremental with lots of time between. And now I am pretty sure that I'll put that plate on in October and have a good solid TNG. So STAY TUNED!